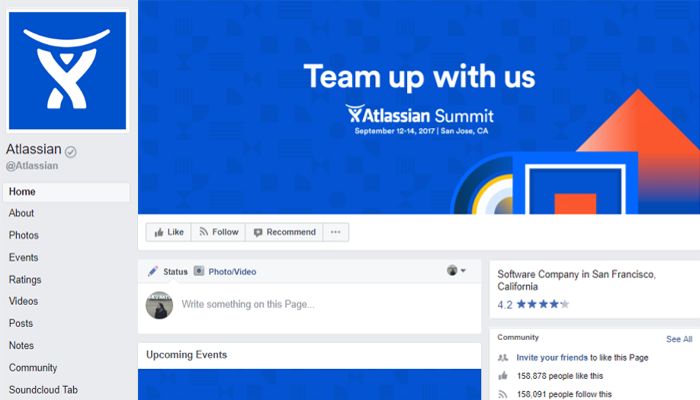 How do you design a Facebook page experience? 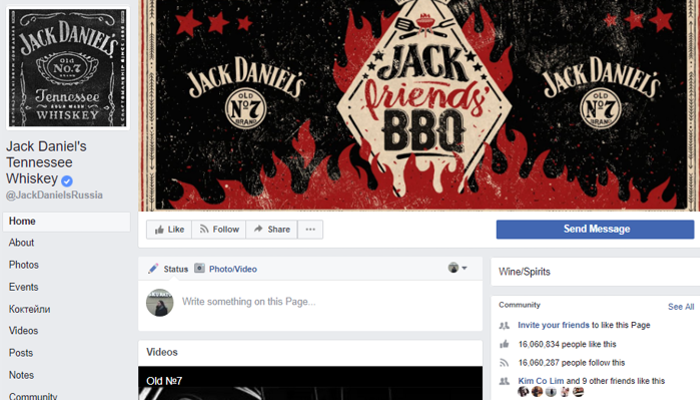 While Facebook was initially created to connect people, it is now a vast social network comprising different features and providing opportunities for brands and communities to promote their services. And with 2 billion monthly users, this social media channel can’t be ignored. 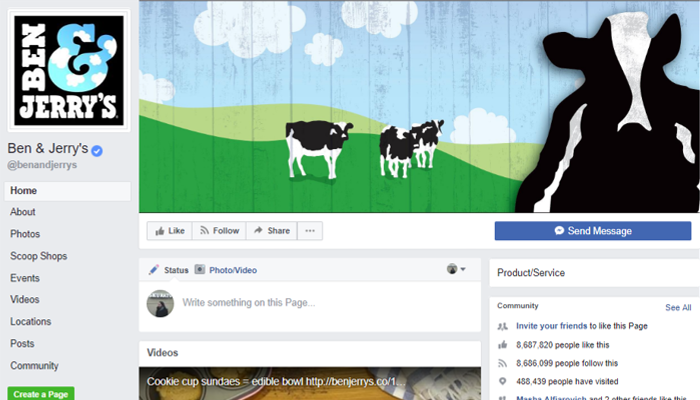 Facebook pages are specifically designed for businesses to showcase their services, serve customers and answer the most pressing questions about the product. They are also a perfect way to relay the brand’s message and publish informational, educational and entertaining content. 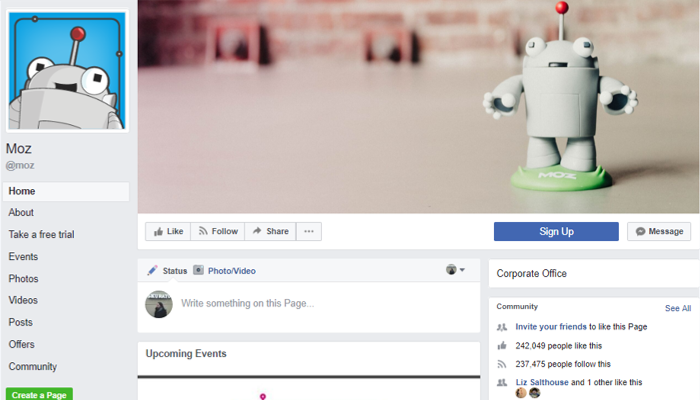 When it comes to Facebook page design, you need to keep two things in mind: the engagement level and the brand’s vision. Facebook as a marketing channel is a very fast-paced, oversaturated medium. People spend an average of 35 minutes on Facebook each day, but due to information overload and unique news feed algorithms, the amount of time people spend on an individual post is actually calculated in seconds. 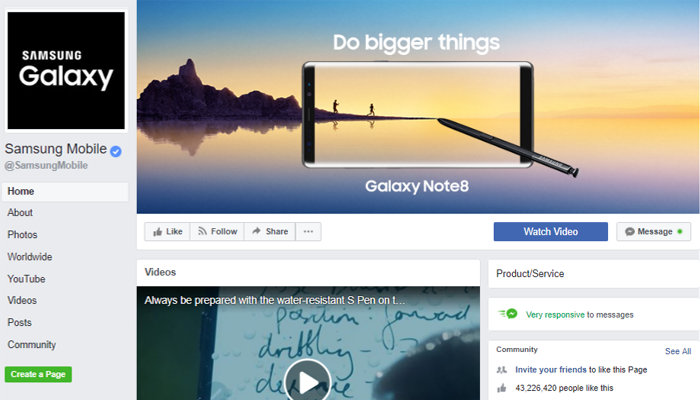 Moreover, it’s ten times harder for brands to get in front of their audience, simply because Facebook favors personal and friends’ news over branded content. Luckily, there are ways around it. If a business produces engaging content on a regular basis, people will keep coming back for more. They will make an effort to stay in touch with the updates and return to the page every time there is a new post or a heated community discussion. They can even pin your updates to the top of the news feed! Branding is another way to retain the community. Brands don’t start on Facebook, but a Facebook page is a logical continuation of a brand story. When you redirect people from your website to a Facebook page you need to make sure that the brand experience is coherent and logical. For a designer, it means creating a profile photo and cover image that ensure a fantastic user experience and prevent users from leaving. The best Facebook covers, therefore, have a “wow” effect or an element of surprise. They also highlight the brand’s vision in a clear and concise way. 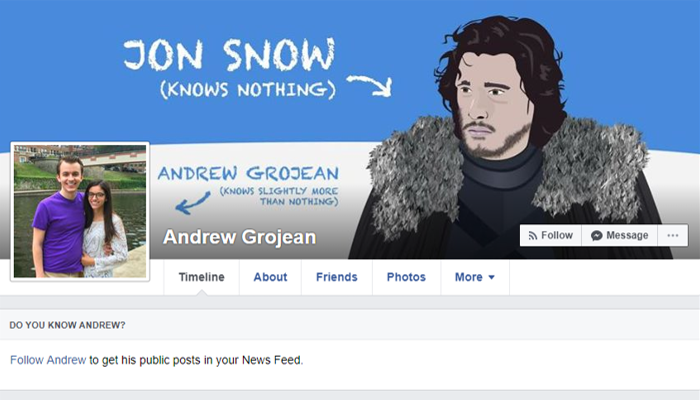 Here are some examples of great Facebook covers for inspiration. 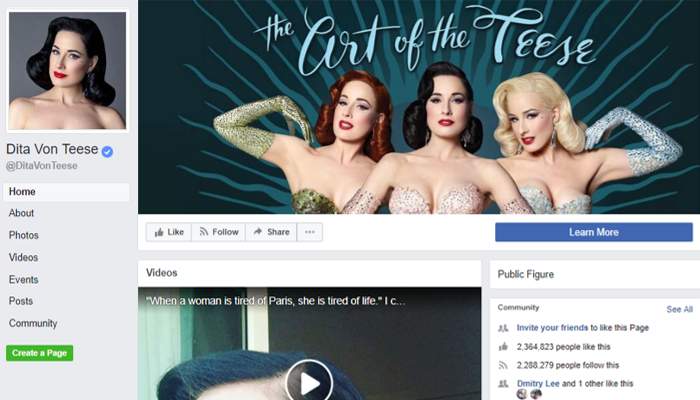 This first example isn’t a business page, but Andrew Grojean’s Facebook cover shows how to use trending news topics in content design and marketing. 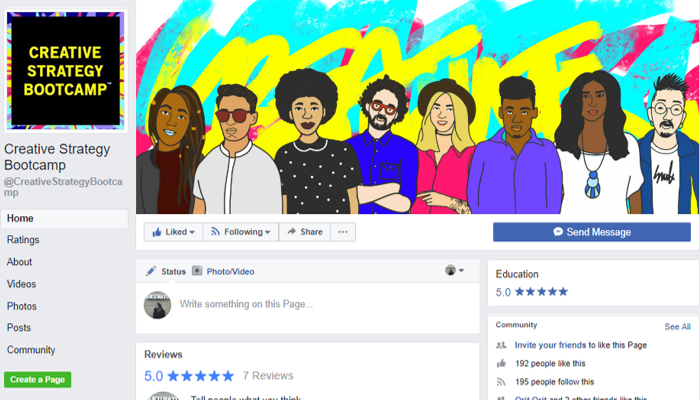 The page owner masterfully combines storytelling, illustration, humorous copywriting and compelling layout in one Facebook cover. Not only does the cover have a strong narrative, it also captures the viewer’s attention with compelling imagery, bright colors and custom fonts. 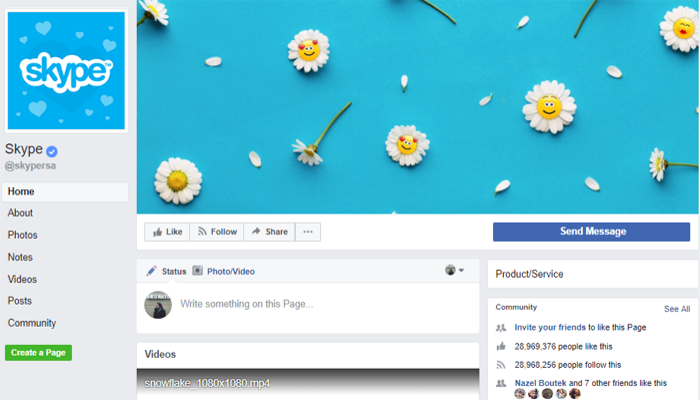 The Facebook cover is the first thing people encounter, so you’d better clarify what you’re selling from the very start. The Bacon Hot Sauce cover religiously follows this strategy. The brand uses a simple cover photo but the way it’s cropped emphasizes the product in the most direct and unequivocal way. What makes this cover unique is the way it creates an atmosphere of being out in nature, somewhere at the organic farm, despite the fact that it’s an illustration and not a real photo. The way the image is cropped also adds to the experience, with the carefully chosen focal character balancing out the layout at the right corner. Whether you have a powerful image or not, you can always enhance it with graphic design and make your brand stand out. 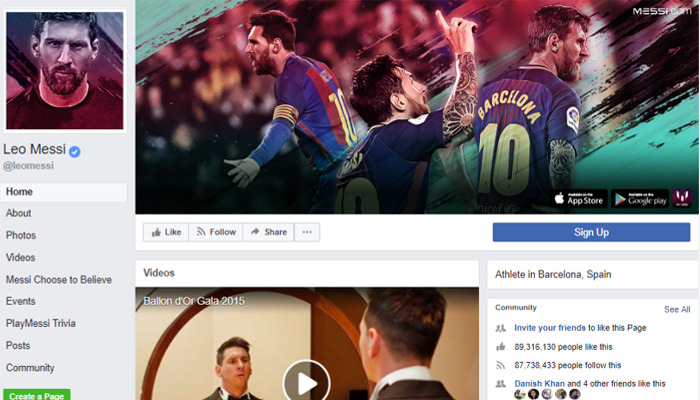 Leo Messi’s personal brand uses bright, bold color strokes over the main cover photo and the profile picture. In fact, this type of overlay can be a very effective tool in turning a bland image into a strikingly beautiful one. If you’re designing a cover for a brand that has one signature product, try emphasizing it on center stage. 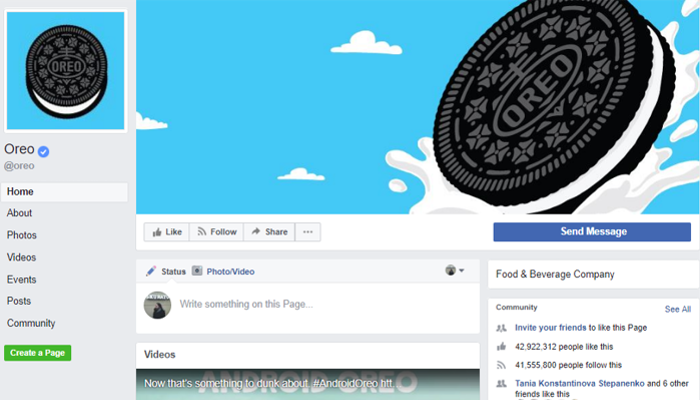 Check out Oreo’s simple profile picture that features its product right in the center, accompanied by a cover with the same product simply viewed from a different angle. For brands with rich cultural and historical heritage, you can use an image from the archives or use a contemporary image and add an old school effect to it. Not only it catches the viewer’s attention but also highlights the brand’s established position in the market, as well as its track record of happy customers. Sometimes it’s best to put your brand name on the cover, especially if there is a message hidden in the name. 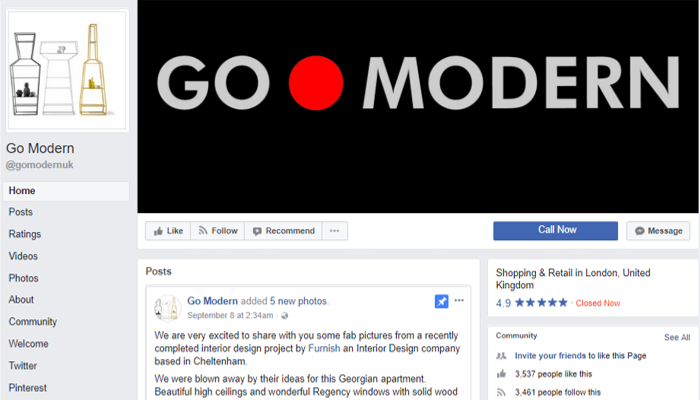 Go Modern is a brand name but also a slogan, so it makes perfect sense to put it on the cover. 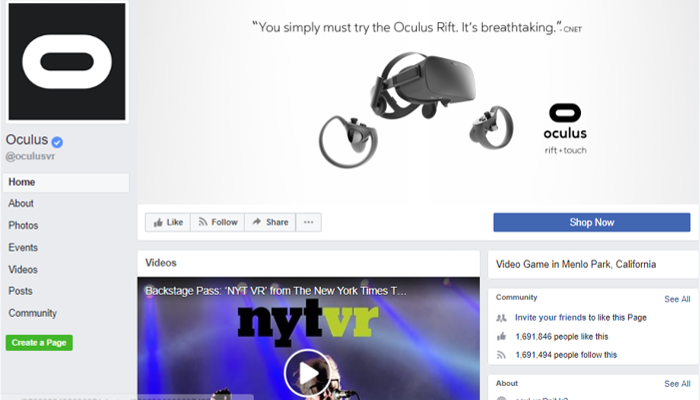 This is a wonderful example of showing a non-tangible product on the Facebook cover. We’re all used to seeing products perfectly aligned against a gray or white background, but what if your product is a website? 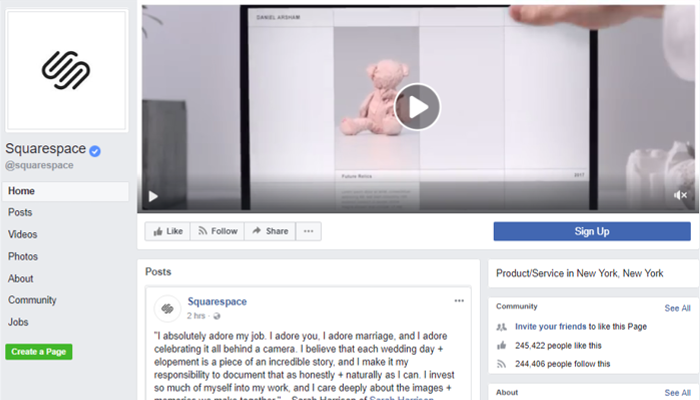 Squarespace shows us how to defy common stereotypes and employ the element of surprise with this cover image that makes a website look like a work of art. Most social media brands use images of people. After all, their mission is to connect people and nothing showcases commitment to the public more than thousands of pictures of ordinary people. VSCO takes a different approach. This minimalistic cover design works because the slogan is powerful and doesn’t require any design enhancements. Illustration has long been used by brands to showcase creativity. Try to use illustration purposefully to advertise the creative and social nature of the brand. Creative Strategy Bootcamp features its own students on the cover, and their portraits are drawn by an illustration artist. For personal brands, it is important not only to tell the story but also to show the person behind the brand. Check out this funky Dita Von Teese cover that creates a hallucinatory effect and truly puts the artists at the center of attention. Given the effectiveness of animated videos for business, it’s no wonder many brands use them to explain product benefits. 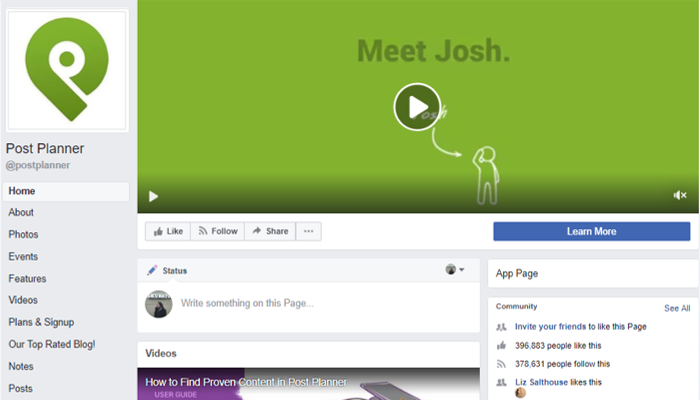 These videos contain a pretty powerful sales message that compels users to action. 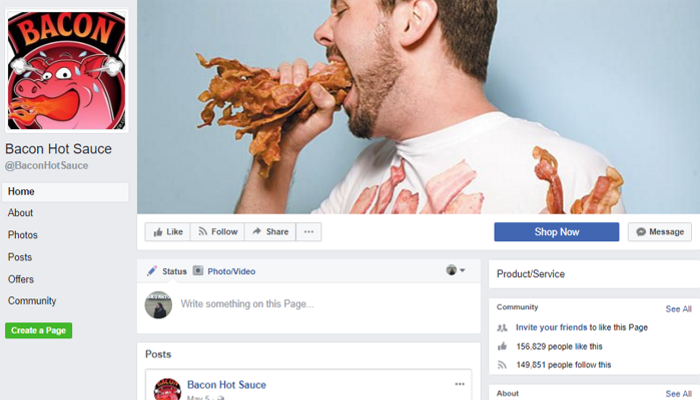 Since many people use Facebook as a go-to tool for news and updates, it makes sense that brands use the Facebook cover as a sales tool. Customers are increasingly concerned about brands’ social responsibility and corporate culture. The educated middle-class consumer is more likely to buy from brands that continuously prove that they put the needs of society first. 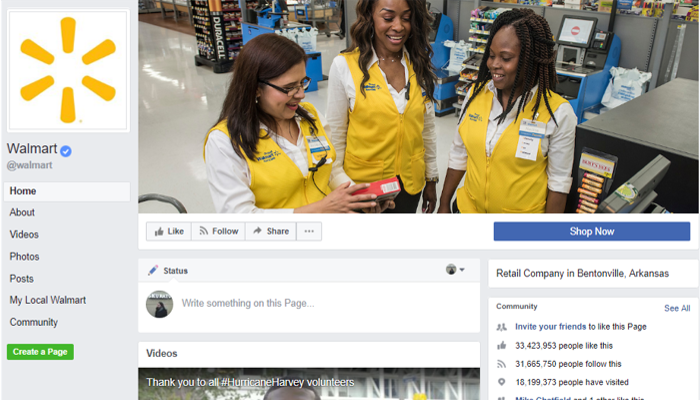 Look at how Walmart skillfully uses its own employees to relay excitement about the product, the inclusive corporate culture and employees’ dedication to the brand. Does your client operate in the publishing or content business? 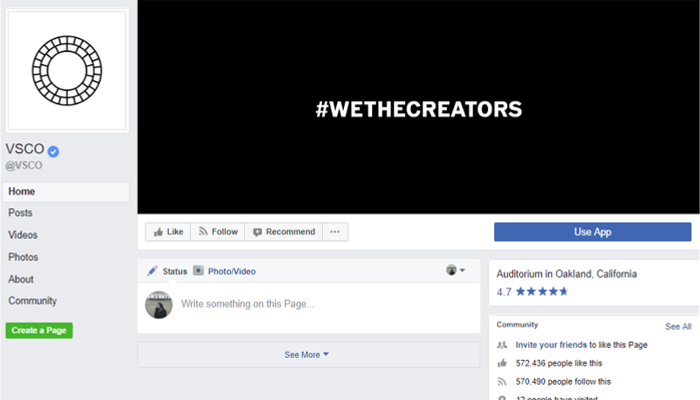 You can create a Facebook cover that is a piece of content in itself. 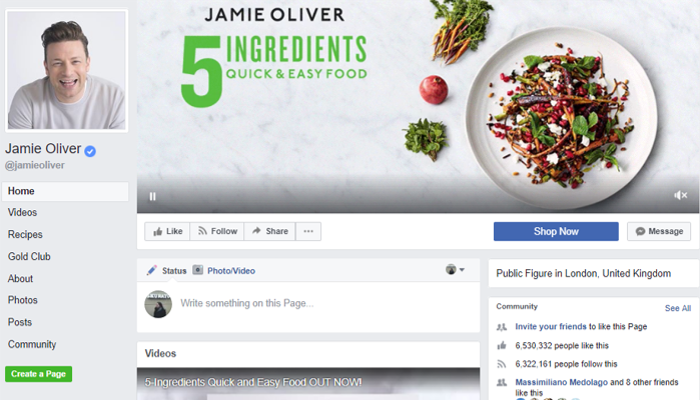 In this Jamie Oliver Facebook cover, the brand gives us another delicious recipe presented in a visual format. Another brilliant concept that not only highlights the product but also uses a combination of images and text that together create a coherent story. Many brands devise intricate logos with tokens but rarely do we see them effectively leveraging those tokens in content marketing. Moz robot is a true hero of the Facebook page, adding an element of fun to this serious, data-driven brand. 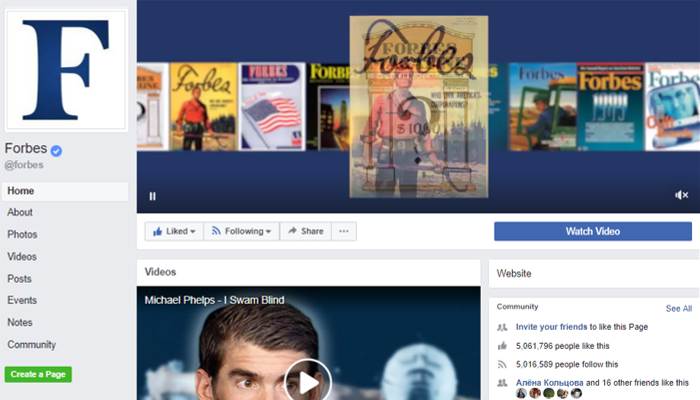 When you show the reel of magazine covers on the Facebook cover, it communicates a message of continued success. Moreover, the video creates an illusion of a never-ending process, highlighting the brand’s dedication to the journalistic craft and innovation. When you have many different products, you can unite them by a common color scheme. Check out how Netflix uses a creative layout that brings the characters together under a common theme while highlighting each character’s unique image. People are constantly seeking positive experiences. Skype uses bright colors, smiling emoticons, cute flowers and a heart-shaped pattern to evoke powerful, positive emotions. 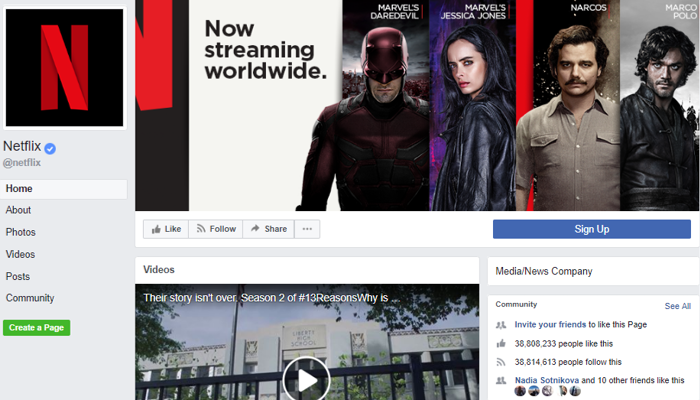 The Facebook cover can serve as an advertising canvas for events and seasonal promotions. If you have time-sensitive information to share, put it in front of your audience so that they never miss an important event. It is a proven fact that images with people create more engagement. If you ever tried to show people along with a product in still photography, you understand how incredibly hard it is to present a product and show emotions at the same time. 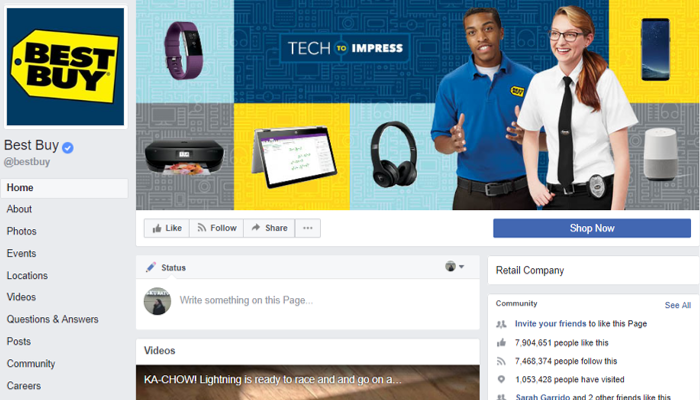 Best Buy combines people and products in one cover, and even without direct interaction in the picture, you can still draw the inference between the friendly representatives and the high-quality products. 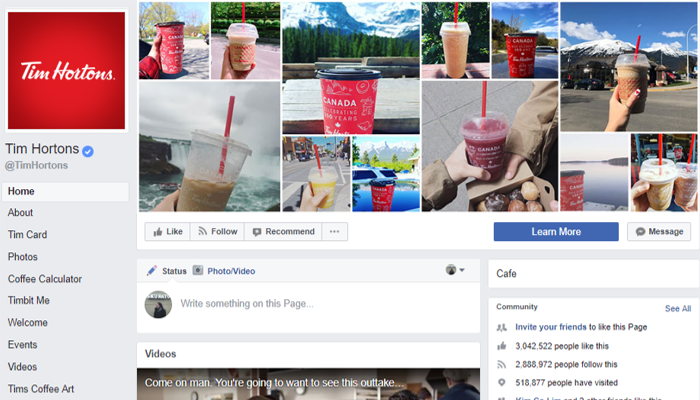 The guys at Tim Hortons know how to make an impactful Facebook cover: call out to fans to submit the photos, create a geometrically perfect layout and create a graphic that makes us all feel like a part of a big, happy family. Brands often feature testimonials on their websites, but they rarely do so on Facebook covers. Check out how Oculus puts the product at the center of attention and complements it with a vote of confidence from a powerful and trustworthy publishing house. Is the business based in a famous and global city? 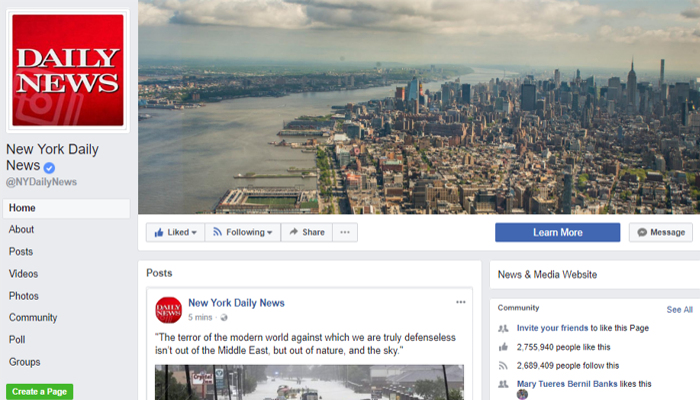 You can use the city landscape as your Facebook cover. Not only does it enhance your reputation as a local business, but also enables you to ride the city’s reputation as the center of business, culture, and art. 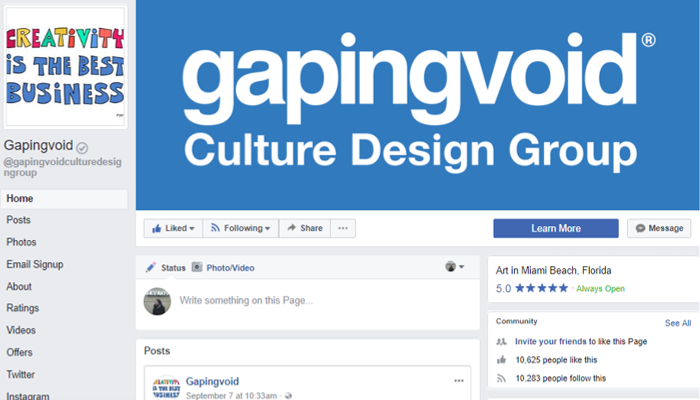 Sometimes, all it takes to create a memorable Facebook cover are big bold fonts, a company name and a clear statement about its services. While Gapingvoid might not be as creative as some of the previous examples, it is a simple, no-brainer way to get the point across. And in the dynamic world of social media and short attention spans, this direct way of presenting information might be exactly what people need. This post was written by the DesignBold Team. DesignBold is an online graphic design tool that aims to redefine the boundaries of design and technology, empowering all users and organizations to convey their message, products and services.